Citrus Cove Elementary School serves 1,054 students in grades Prekindergarten-5. The percentage of students achieving proficiency in Math is 70% (which is higher than the Florida state average of 54%) for the 2015-16 school year. The percentage of students achieving proficiency in Reading/Language Arts is 62% (which is higher than the Florida state average of 52%) for the 2015-16 school year. 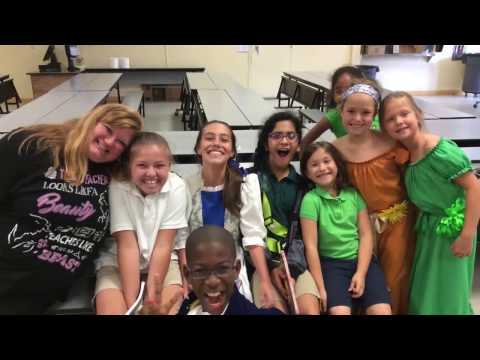 Citrus Cove Elementary School placed in the top 30% of all schools in Florida for overall test scores (math proficiency is top 20%, and reading proficiency is top 30%) for the 2015-16 school year. The student:teacher ratio of 15:1 is lower than the Florida state level of 16:1. 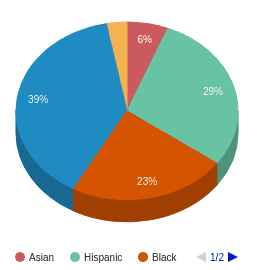 Minority enrollment is 61% of the student body (majority Hispanic and Black), which is equal to the Florida state average of 61%. Citrus Cove Elementary School's student population of 1,054 students has grown by 14% over five school years. The teacher population of 72 teachers has grown by 7% over five school years. Citrus Cove Elementary School is ranked within the top 30% of all 3,601 schools in Florida (based off of combined Math and Reading proficiency testing data) for the 2015-16 school year. The school's student:teacher ratio of 15:1 has increased from 14:1 over five school years. The diversity score of Citrus Cove Elementary School is 0.71, which is more than the diversity score at state average of 0.46. The school's diversity has stayed relatively flat over five school years. Academically sound school but they have done from a Parent Friendly atmosphere a couple years ago to a ANTI Parent atmosphere this year. They have implemented a new Afternoon pick up program that is a total nightmare and they decided to do this without any parent input or involvement. As a parent I am very upset. I have to deal with the extra time, extra stress and danger this new pick up procedure puts me in. The additional time waiting for me to be able to pick up my son also stresses my son out. I used to have to arrive at school about a half hour early and would park and walk to greet and hug my child when he came out and today that wait is an hour at least. We are forced to sit in idling cars, many on the main road (Lawrence) for over an hour. This is not time or cost efficient. Wonder if the school board wants to chip in for all the additional fuel we are using for this additional wait time for their idiotic new procedure Wait till some of the parents start taking the board to court over this as well as the thru traffic lane at school becoming (more parking and waiting in line) and being totally blocked. This can't be legal! Although the school is academically sound.. It lacks in extra curricular activities and I feel is a very Anti Parent environment school. New pick up procedures were enacted without any input or even as much as a meeting with the parents who are forced to use these new procedures. An hour has been added onto pick up times because of these new procedures. In other words.. Afterschool pick up is a nightmare at this time. Hopefully in the future this will change and be more accodating for the parents but for now.. It's awful. Citrus Cove Elementary School Cordially Invites You to "Be Our Guest!"